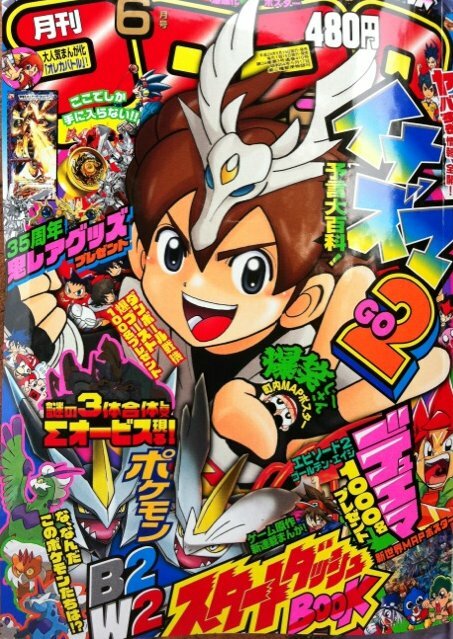 Monthly magazine CoroCoro June cover page leaks today. Here is enlarge. Green one seems mysterious Pokemon in AR. 1. CONFIRMED the above New Pokemon are Kami Trio's forme change. 2. 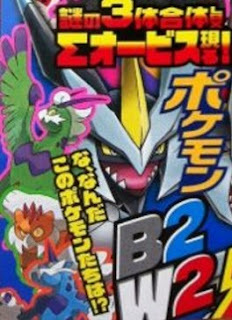 Brock (Takeshi), Giovanni (Sakaki), Bianca with glass appear ? Video of New ED for Pokemon TV Anime and movie 15 short film by Momoiro Clover Z are uploaded, just few part.